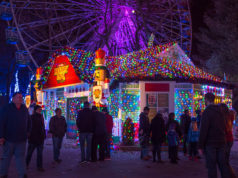 In 2013, New Jersey’s Six Flags Great Adventure entertainment complex will undergo its most dramatic transformation in 13 years as the 160-acre theme park and 350-acre Wild Safari animal park unite as one property to become the world’s largest theme park The mega-park, featuring 13 roller coasters including three of the world’s top rated, three children’s areas, a wide array of family rides, games, shopping and entertainment, will introduce the new, one-of-a-kind, themed attraction Safari Off Road Adventure. At Six Flags Hurricane Harbor, water-thrill seekers will challenge a massive, new slide complex Big Wave Racer. Boasting 1,200 animals from six continents, Safari Off Road Adventure will take explorers on the most intense, up-close animal experience of their lives. 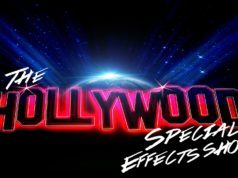 Guests will enter the amazing, fictional world of the Wilds Family, who have traveled the globe to bring the most interesting and exotic creatures to their home in Jackson, New Jersey. Once through the rustic loading station filled with artifacts from the Wilds™ global journeys, guests will load a rugged, open-air, Safari vehicle to begin their unique adventure. Skilled, informed drivers will drive guests off-road and up close to the animals as they splash through ponds, climb hills, cross bridges and venture over rugged terrain. 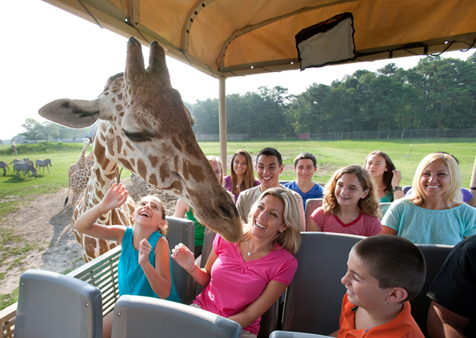 When the Wild Safari closes its gates for the 2012 season this fall, it will undergo a massive renovation this winter that includes a redesign of various simulated natural habitats and the creation of Camp Aventura. Camp Aventura will be the main stop along the off-road excursion. 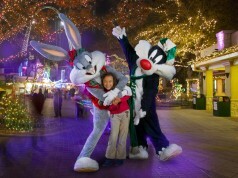 Guests will see up-close some of the Wilds family’s favorite animals, and even hand-feed or pet them. Here, they can choose to fly through the air high above the animals on a new zip line for an additional fee. Safari Off Road Adventure is included with general theme park admission and season passes in 2013, and will be accessible via the Frontier Adventures section of the theme park. 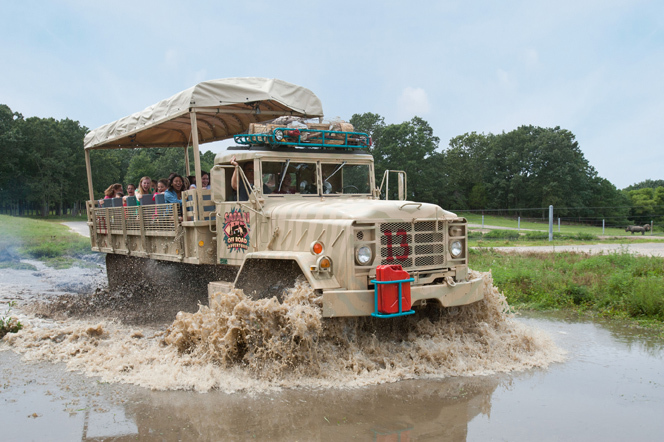 Through September 30, 2012, guests will be able to drive their own vehicles through the Wild Safari for the very last time in the park’s 38-year history. 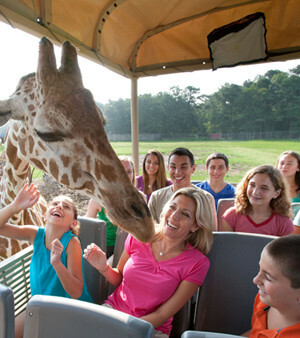 Safari Off Road Adventure is slated for a Memorial Day weekend debut in 2013. On the heels of the new King Cobra water slide addition, Six Flags Hurricane Harbor will unveil another massive slide complex in 2013. Big Wave Racer will send riders barreling head-first down multiple lanes on an aero-dynamically-designed water toboggan. After climbing four stories, they will rocket down several steep drops stretching 1,800 feet before crossing the finish line in a splash of glory. Big Wave Racer is slated for a summer 2013 opening and will be the eighth slide complex at Hurricane Harbor, pushing the number of thrill slides to more than 25. The 45-acre park also features a million-gallon wave pool, a half-mile lazy river and a large children’s water playground. Next articleNew Jersey 350th – Fun Fact – So where did New Jersey get its name and why Nova Caesarea?